The Acheh-Sumatra National Liberation Front (ASNLF) has been a Member of UNPO since 1991. ASNLF believes that its partnership with UNPO will help it in its efforts to achieve independence and enable it to provide support to other UNPO Members striving to achieve similar goals. Specifically, they would like UNPO’s assistance in providing a platform through which their concerns may be presented to the international community. ASNLF also looks to UNPO’s experience to help it increase the efficiency of its legal methods and strategies with focused training programs. In sharing experience and increasing its efficiency, ASNLF will continue to work to secure the freedom of the indigenous Achehnese while avoiding violence and future armed conflict. Acheh was an internationally recognised an independent sovereign state for hundreds of years before the arrival of European powers to South-east Asia and for many centuries after. In its history, first against Portugal, then the British and Dutch in the 18th century and today against the Indonesian government in Jakarta, Acheh has continued its struggle against colonial and alien rule with varying degrees of success. In December 1976, the Free Acheh Movement (GAM) was founded. Based on their historical background, the Achehnese demanded the return of their once glorious independent state back to them. Aside from the human rights violations against the people of Acheh, the struggle was fuelled by the Indonesian government’s control over the province’s considerable natural resources and revenues generated by them. The following decades would see much turmoil and violence between the people of Acheh and the Indonesian government. On 15 August 2005, a Memorandum of Understanding (MoU) brokered by former Finnish President Martti Ahtisaari was signed, whereby both sides agreed to cease all hostilities immediately. GAM agreed to be disarmed and the Government pledged to withdraw all nonlocal military and police by the end of 2005. 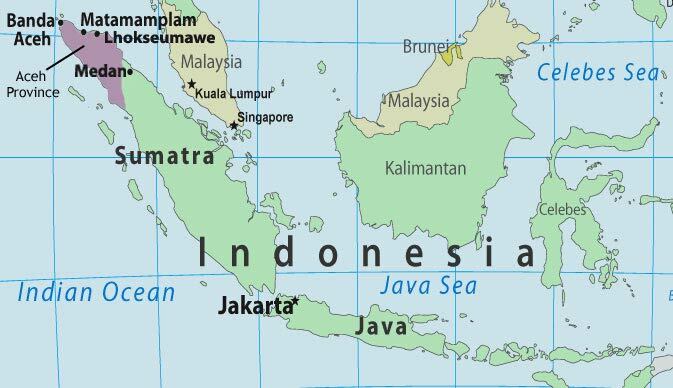 In this context, Acheh was meant to exercise authority within all sectors of public affairs, which will be administered in conjunction with its civil and judicial administration, except in the fields of foreign affairs, external defense, national security, monetary and fiscal matters, justice and freedom of religion, the policies of which belong to the Government of the Republic of Indonesia in conformity with the Constitution. These topics have been some of the most contentious issues in previous negotiations. On the question of the uneven distribution of income, it was settled that 70% of the income from local natural resources would remain within Acheh. The MoU also foresaw the establishment of a Human Rights Court and a Truth and Reconciliation Commission in Acheh, but more than 12 years have now passed since the peace agreement was signed and the establishment of neither of those institutions has come to fruition. While the peace agreement gave some increased autonomy to Acheh, ASNLF still aims at independence, believing that the demands for self-determination have not been sufficiently addressed by the 2005 peace agreement. The MoU was meant to serve as a peace deal between the Indonesian government and the region of Acheh. Unfortunately, today there has been little legislation passed to reinforce the agreements made. The failure of the State to adhere to its commitments has left the provincial government with no say in many political matters. One especially critical matter pertains to the on-going mobilisation of Indonesian military in the region of Acheh. Today, 14,700 soldiers and 9,1000 policemen and women remain in Acheh, while Provision 4.7. of the MoU promised demilitarisation. In addition, Acheh continues to wait for the state to take back the illegal arms that were distributed in the region, but there is little reason to believe that this will occur. The State has a history of using civilians in its military operations and arming civilian groups within the Acheh region with illegal arms. For this reason, it seems unlikely that the Indonesian government will take back these arms. Aside from the Indonesian military presence in the Acheh region, the Achehnese people are still waiting for justice for the crimes they suffered at the hands of the Indonesian armed forces during the 1990s conflict. Under the MoU, the Indonesian State was to establish a “Commission for Truth and Reconciliation” and a “Human Rights Court” to be tasked with settling human right violations. Indeed, the establishment of these tribunals was proposed in 2006 and 2013 state legislations, but has still failed to come to fruition to this day. Although supportive of Islamic culture and religion, ASNLF does not support the human rights violations that may have taken place in light of this policy shift. Although rich in natural resources, the economy of the Acheh region remains poor. In 2015 the region experienced a growth of 1.65 percent, significantly lower than the national average of 5.02 percent. In addition, unemployment in the region remains drastically higher than the national 5.9 percent. Poor growth and unemployment in the region is due to exploitation of the territory and its resources by foreign transnational corporations. Aside from exploitation of natural resources, poor supervision of state projects by the parliament has resulted in numerous infrastructure plans to either be completed below standards or abandoned altogether. The region has been allocated a “special autonomy” budget to last until 2028 to improve the poor economic standing of the region. Unfortunately, as poor management and corruption of the budget persist, there is concern that after 2028 the standing of the region will only worsen (Graf & Schroter & Edwin). The traditional attire for women is a sarong, a colourful woven skirt, while men’s traditional wear include narrow black trousers that are embroidered at the ankle and waist. The fabric of both male and female clothing is often decorated with gold and silver threads. Women also often wear necklaces layered from the neck to the waist and have arms and fingers adorned with many bracelets and rings. The more prominent the occasion, the more decorated the sarong will be. Homes in Acheh are traditionally built out of bamboo or flattened wood and are built on stilts to protect them from the region’s frequent flooding. Much of the art, music and culture of the Achehnese is influenced by Islam, which is believed to have first entered Southeast Asia through Acheh in the 8th century. At a certain point, Banda Acheh, the capital of Acheh, was referred to as the 'doorway to Mecca'. It was a popular stopping place for Muslim travellers, scholars and merchants. According to tradition, the arrival of important dignitaries to villages, weddings and circumcision celebrations is met with traditional dances and music. The dances are typically performed in a group fashion with rhythmic steps and beats and accompanied by music, which is performed on traditional string, wind and percussion instruments. The Achehnese are mainly agriculturalists whose diet consists of rice with meat (except for pork, which is forbidden to Muslims), fish or vegetables. The Acheh diet includes a wide variety of traditional dishes, most of which are prepared with different spices and served in an assortment of sauces. Often after dinner the Achehnese will serve “Ranub”, a betel leaf, for chewing. Serving this leaf shows respect to the guest. Please download our Acheh Member Brochure.